God bless Pinterest. Over the weekend our neighbors put together a progressive dinner with “potluck style” apps. Since the apps were subbing for dinner, I wanted to make something that had a little heft to it but I don’t really make apps that often and didn’t have a go-to recipe in mind. 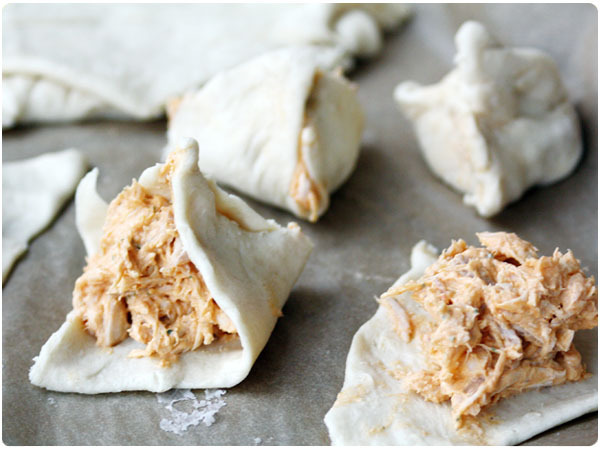 I had recently run across this recipe for Buffalo Chicken Poppers from Iowa Girl Eats on Pinterest and thought it could be the perfect solution. I used all the same ingredients as the original recipe but slightly tweaked the quantities and execution. Instead of cooking and cutting a chicken breast, I shredded up store-bought rotisserie chicken and mixed all of the filling elements together to cut down on prep time. I would do it that way again since it was not only easy and fast, but also made the filling extra creamy. The poppers were a gone in a flash and will definitely be made again! Preheat oven to 375 and line two baking sheets with parchment paper. 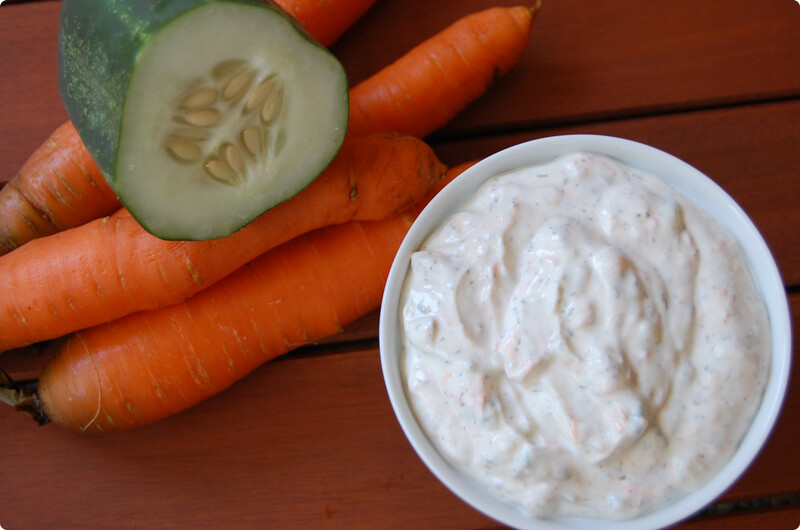 In a large bowl, combine cream cheese and ranch dressing powder until well mixed. Mix in wing sauce. Remove meat from rotisserie, leaving skin and carcass behind. Shred chicken using two forks and transfer chicken to the bowl with the filling. Use a wooden spoon to mix chicken into filling so that it is evenly coated and mixture is creamy. Roll out crescent rolls on the parchment paper. Slice the pre-sliced triangles in half so that you end up with 16 triangles on each baking sheet. 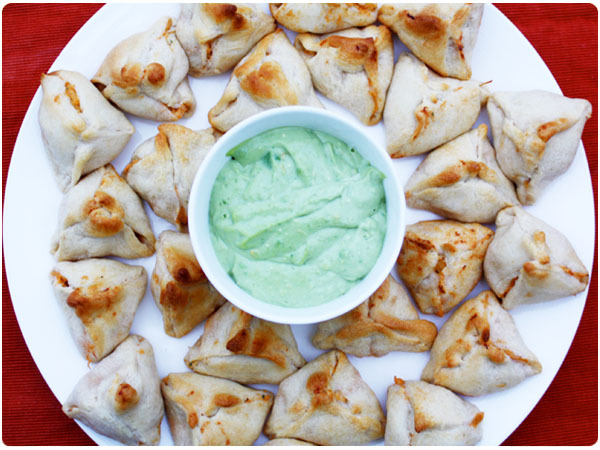 With each triangle, use your fingers to gently spread the dough out a bit so that you have room for more filling. You may need to work in groups of 3-4 triangles. Scoop about 2 teaspoons of filling into the center of each triangle. Fold the corners of the triangle up to meet in the center and gently pinch together the seams between the points. Once all poppers are formed, bake for 12-15 minutes or until golden brown. 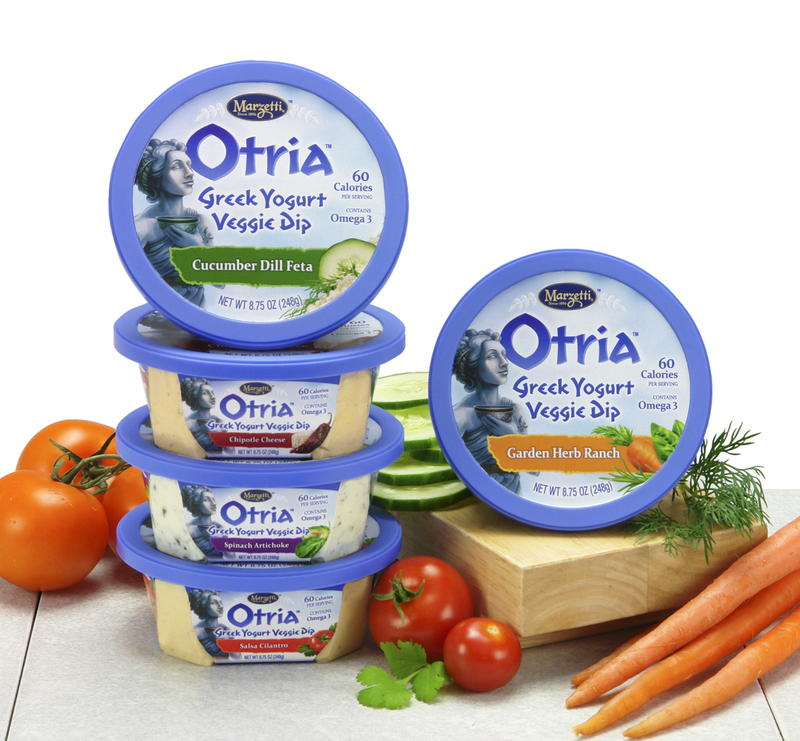 Serve with Avocado Blue Cheese Dip if desired. 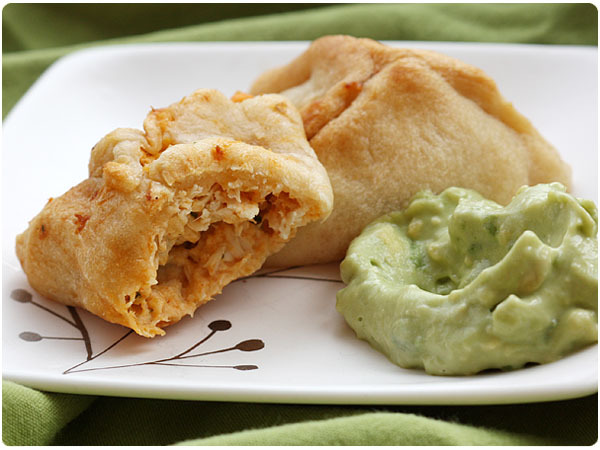 Peel avocado and cut into small chunks in a small bowl. Add dressing. Use a hand mixer to cream together until avocado is mostly smooth. If you don’t have a hand mixer, simply mash well, however your dip will be a bit more chunky. Whip up some treats, it’s Halloween! Halloween is such a fun time of the year, so why not dress up your party like you would yourself? We put together a Double Double Toil and Trouble witch-themed Halloween party for our stint as featured bloggers for the Wisconsin Milk Marketing Board’s Halloween Entertaining segment. We used just a few simple store-bought and/or DIY props and paired them with a few delicious fall treats featuring Wisconsin cheeses. 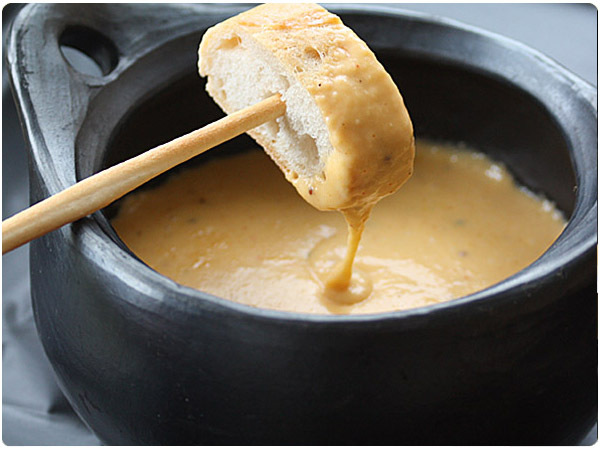 We kicked off our party with a creamy Beer Cheese Fondue, served in a cauldron-like casserole dish with thin Italian breadsticks and sliced baguettes for dipping. In a large sauce pan, melt butter over medium heat. Whisk in flour to thicken, taking care not to burn, and then gradually whisk in milk until mixture is semi-thick and smooth. Continue whisking while adding beer. Next, gradually whisk in cheeses allowing each addition of cheese to melt before adding the next. 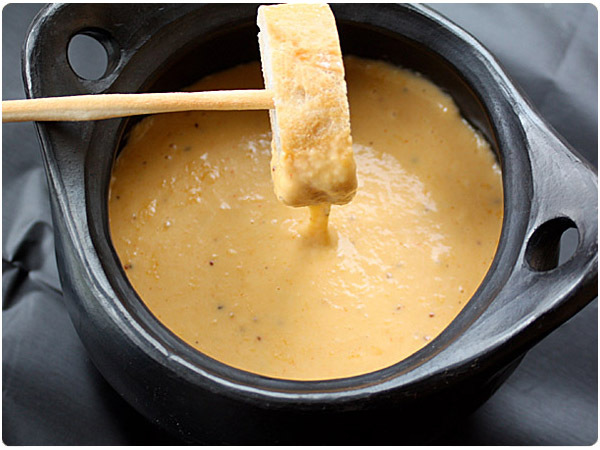 Once cheese is melted, whisk in mustard, Worchestershire and cayenne. Add salt and pepper to taste to bring out flavors. Serve warm with thin Italian breadsticks and slices of French baguette for dipping. 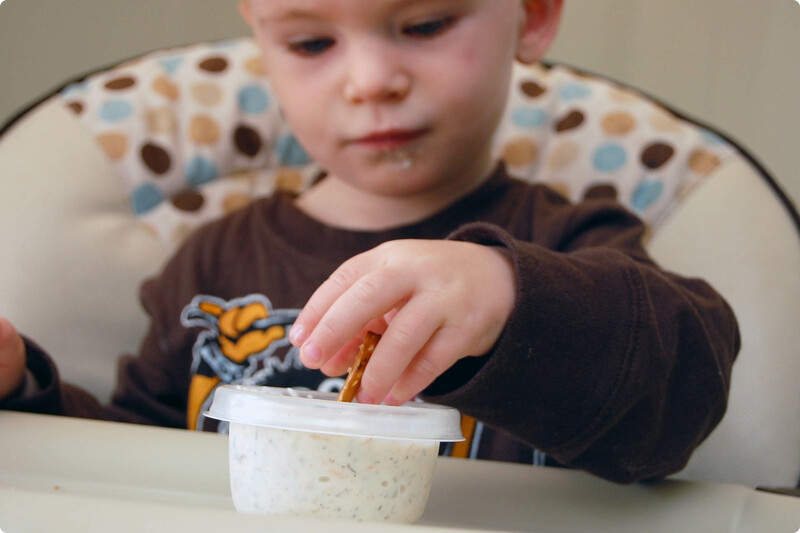 Stick breadsticks into the sliced bread to create “broomsticks”. Be sure to check back later this week for more Halloween recipes and our Halloween decor ideas! I love apple season and often find myself using apples to sweeten up my dishes. 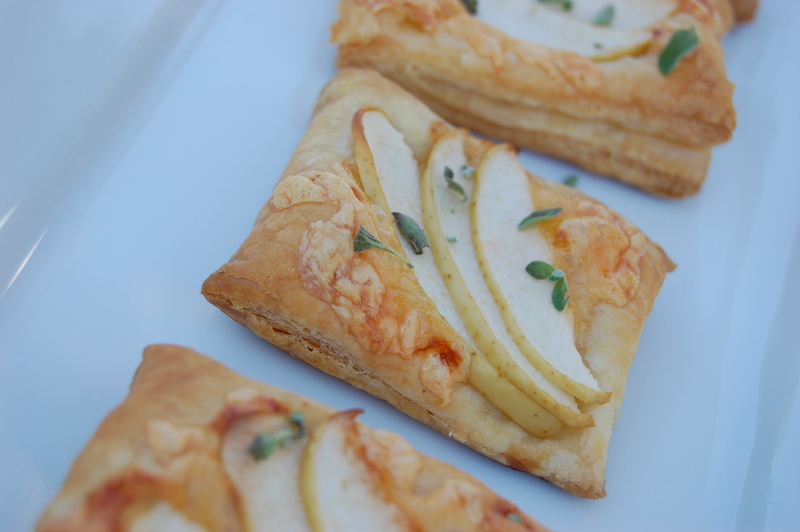 I wanted to try my hand at a savory apple dish this year and these tarts were just what my taste buds were craving. 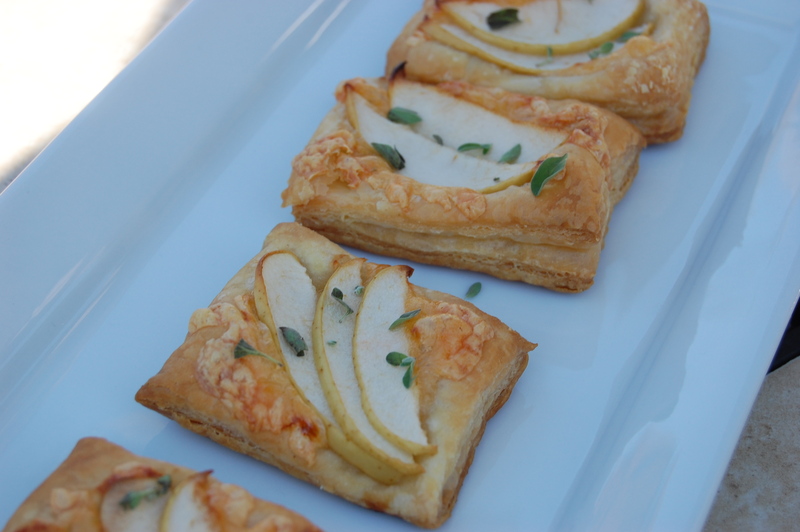 The combination of the sweet apple with the Gouda cheese was the perfect match. These easy tarts can be made in no time and use only 4 ingredients! Preheat your oven to 375 degrees. Cut your puff pastry into evenly sized rectangles. I was able to cut mine into 12 pieces. 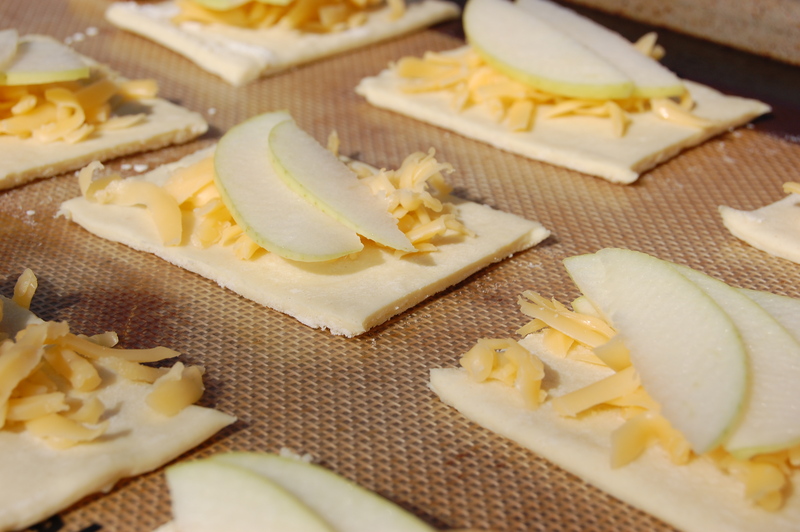 Place on a cookie sheet and top with about 2 Tablespoons shredded Gouda and a few sliced apples. Bake at 375 for about 20-25 minutes or until the pastry is golden brown. Top with chopped fresh sage and serve warm. 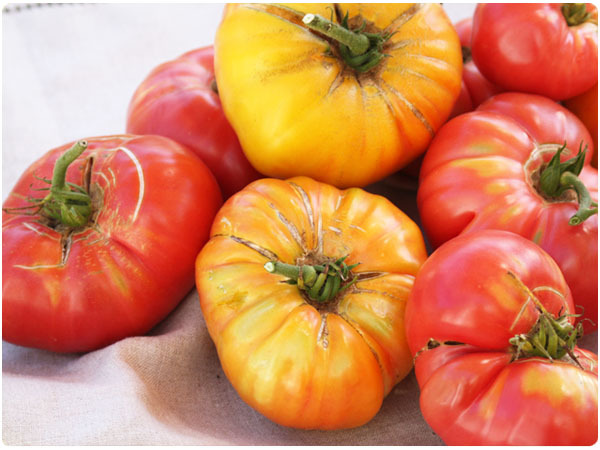 I wait all year for my heirloom tomatoes to become ripe. 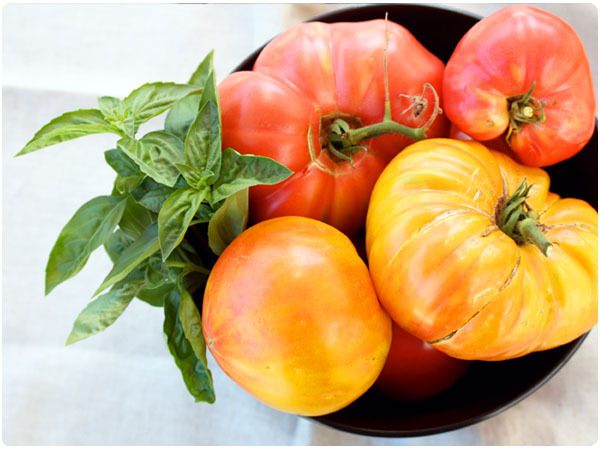 From the smell of the plants to the funky shapes and colors of the tomatoes themselves, I love everything about them. However a week or so ago, I went out to pick the first ripe one only to find that some critter had taken a nice big bite out of it already. GASP! I figured it was a fluke…until it happened again and again. Every afternoon I would check my tomatoes to see what would be ripe in the morning and every morning the newly ripe one would be compromised. Was it a squirrel? Rabbits? My dog, Lena? The creature was smart enough to only eat the ripe ones. This was war and not one I planned to lose. I still haven’t figured out the culprit but my battle tactic has been to cage my plants with chicken wire. 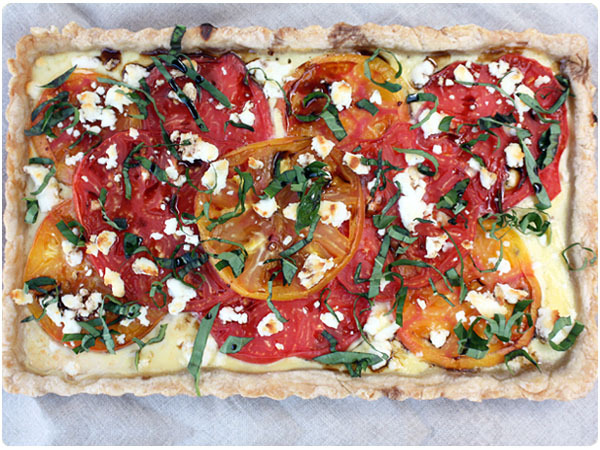 So far it seems to be working and I’ve been able to harvest a pile of gorgeous tomatoes to make this Heirloom Tomato & Three Cheese Tart and an all-fresh batch of our favorite Heirloom Tomato Soup. I’ve heard tales of pepper-vinegar sprays, dog hair, coffee grounds, netting and more deterring animals as well but haven’t tried them. Have you had issues with garden thieves? How do you prevent animals from eating your tomatoes? What worked or didn’t work for you? Preheat oven to 375. 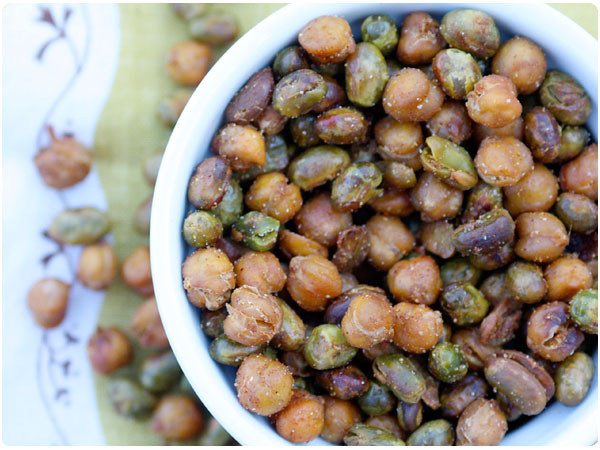 Combine ice, water and vinegar in a bowl and set aside. In a separate small bowl, whisk together flour and salt. 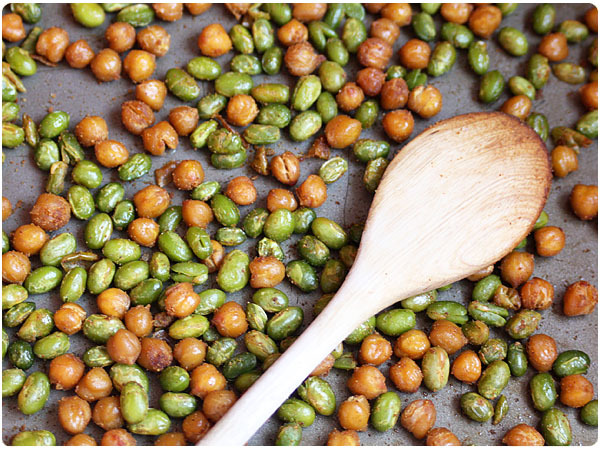 Cut in small balls of shortening, spreading them throughout flour. Spoon in 2-3 Tbsp of vinegar water and use a pastry cutter or your hands to work into a dough. Add more water, one Tbsp at a time until dough holds together but is not too sticky. (Tip: If you overdo it with the water, just add a sprinkle more flour to dry things out). Use your hands to push dough into an 11×7 tart pan, working dough evenly up the sides and flattening evenly across the bottom. In another small bowl, whisk together ricotta, egg, half and half and parmesan cheese until creamy and well-combined. Add a pinch of salt and pepper. Pour filling over dough. Bake for 10 minutes to just set filling. 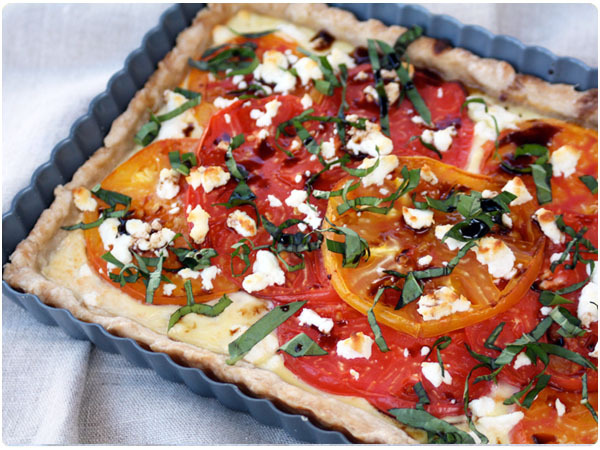 Remove from oven and layer tomatoes and goat cheese on top. Bake for another 30 minutes. Cool slightly and top with basil and a light drizzle of aged balsamic vinegar.